A couple of of days ago, I stumbled across an online app http://pupworkshop.com/. 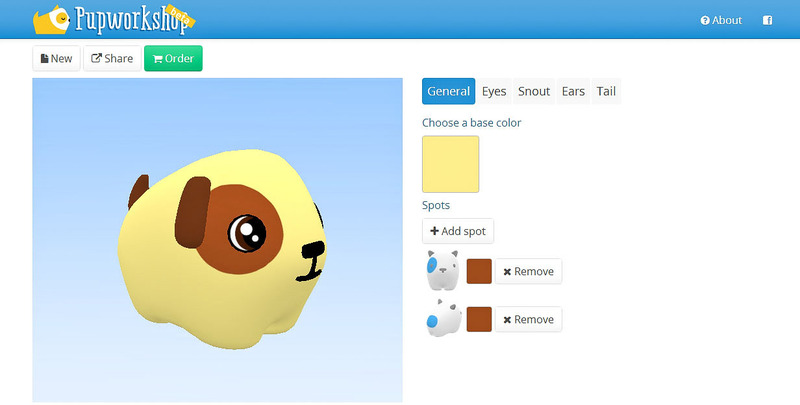 This is an endearing piece of software that allows you to design your own 3D printed puppy! Created by Tom Rethaller and powered by Blender, Shapeways and Sculpteo, the application requires no download and is very user-friendly, providing a range of doggy features and a full spectrum of colours to choose from. 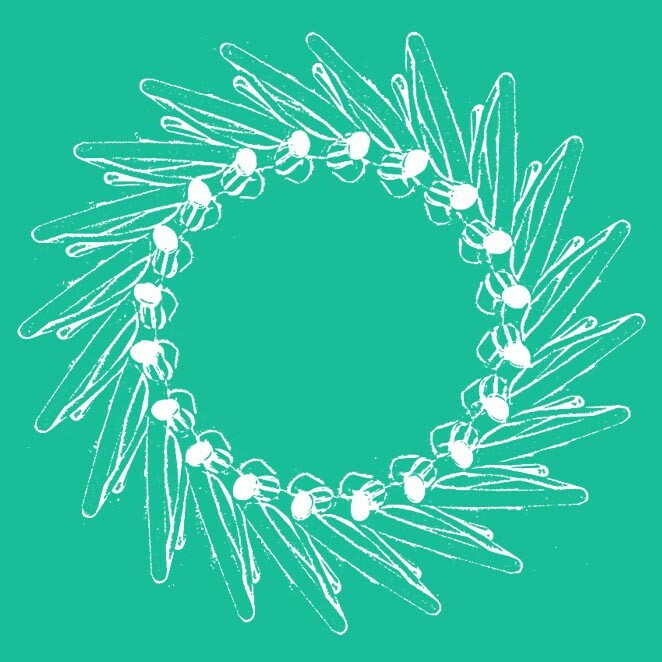 Once your design is finished, you are offered two options for printing: from Shapeways or Sculpteo, along with very considerate comments about which company service will be cheaper or faster in processing the order. Your ‘Puppy’ is printed by a Zcorp 3D printer in multicoloured sandstone, which is composed of binder material and coloured ink, layered together and sealed. There are three options for sizes: 4, 5 and 6 cm. Although I did not get my own design printed (see above) I really enjoyed the experience of creating my own puppy. The application was easy to use and I really appreciated how I was navigated effortlessly to the printing sites provided to complete my order. For a small cost of around 8 euros (excluding postage) I would definitely recommend this site for a bit of 3D printing fun!